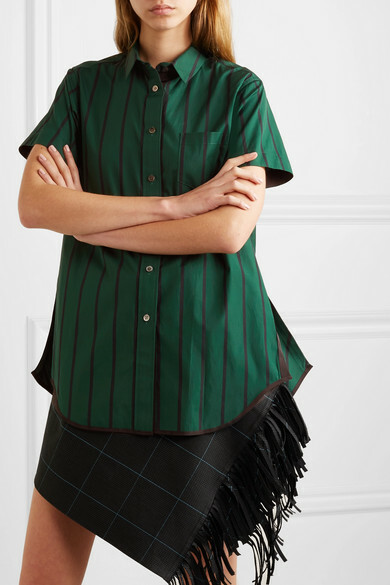 Sacai's Creative Director Chitose Abe is revered for her ability to take classic pieces and turn them into something so fresh. 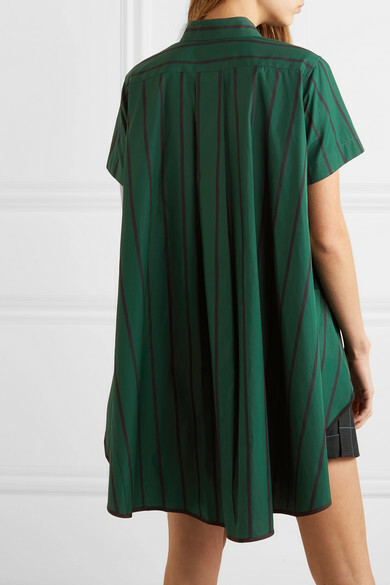 This loose-fitting shirt has been made from dark-green cotton-poplin emblazoned with black stripes. It's spliced open at the sides and falls longer at the back. 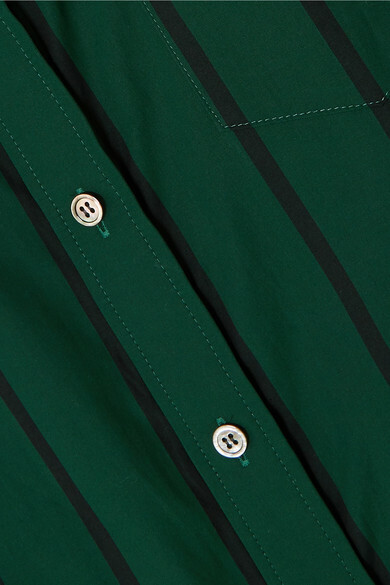 Our stylists suggest leaving a few of the top or bottom buttons undone. 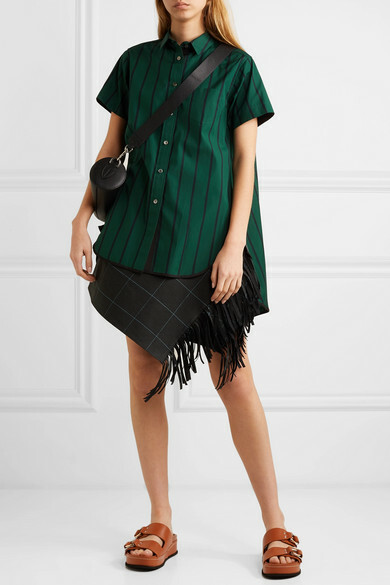 Shown here with: Sacai Shorts, Burberry Shoulder bag, 3.1 Phillip Lim Slides.